At Salem Paint Company we carry the best deck and siding finishes from PPG Proluxe, Messmers, and Preserva Products. ******************************************* Wood Stains and Finishes, PPG ProLuxe formerly known as Sikkens provides a distinctively rich and vibrant finish. 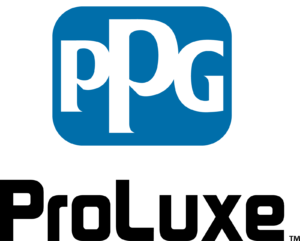 PPG ProLuxe premium products are designed to provide unrivaled looks, durability and performance on all types of exterior wood. Find the perfect stain or finish to bring out the natural beauty of the wood in your project. For decks, siding, windows and doors. Messmers UV Plus Deck and Siding Stain is our most requested oil based sealer. Messmers uses transoxide pigments for maximum protection on exterior wood. It contains an extremely high solids content and penetrates deep into the wood leaving more product in the wood than most sealers while creating a natural looking finish that lasts for years. 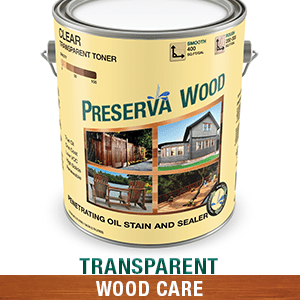 Preserva Products make high quality true oil wood stains. From beginning to end, their products help with DIY projects to commercial wood care for decks, fences, patios, pools, docks, outdoor furniture and all other exterior wood. You can preserve the natural beauty and add value to your home with Preserva Products™. Both long lasting and environmentally sound, you’ll love the results. With mild maintenance, year after year, Preserva Products™ will satisfy all of your wood needs. 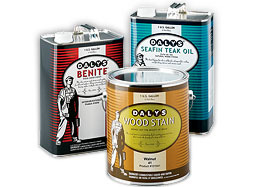 At Salem Paint Company we also stock Daly’s Aqua-Spar Exterior Acrylic Spar Varnish, a durable non-yellowing finish for exterior doors and trim, Daly’s Benite, a deep penetrating wood sealer and Daly’s Sea-Fin Teak Oil, a traditional exterior wood finish used extensively for preserving woodwork on boats and a great choice for a natural oil finish on all of your exterior wood. For those looking for an attractive, durable solid coat finish for decks and patios Salem Paint Company can supply you with products from Gaco. For years Gaco has been the leader in elastomeric floor coatings systems for exterior plywood decks with its GacoDeck system. Come by the store for brochures and information. Salem Paint Company currently is supplying this on a special order basis.